While we were in the lounge, a gate change was announced for our flight which would depart out of gate 5. As the lounge got busy at night, we left and head to the gate for our departing flight. 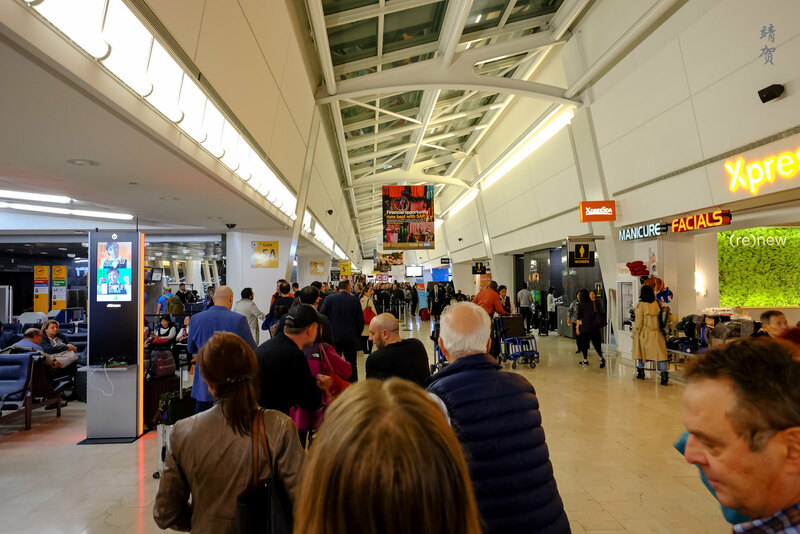 There was already a snaking queue formed for the Priority line as it includes Star Alliance Gold members. Boarding started around 2350, which was just 20 minutes prior to the departure time. 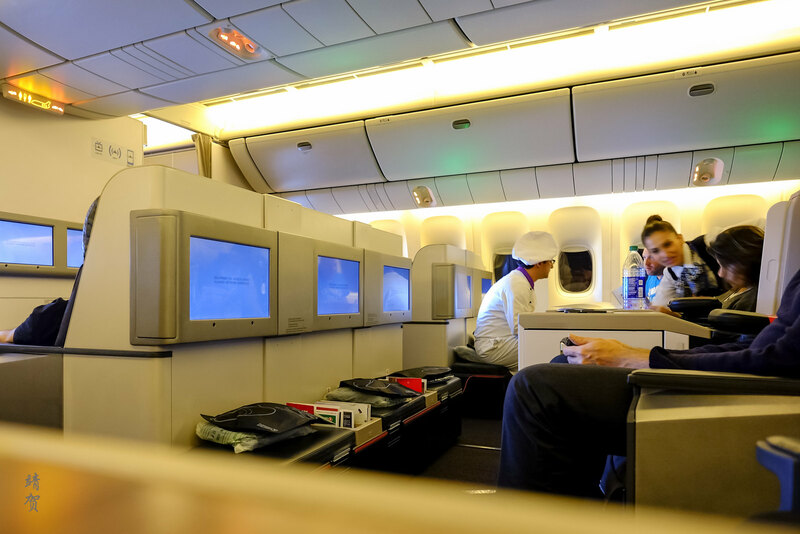 For this flight, we were in the second row of the second section of the Business Class cabin. 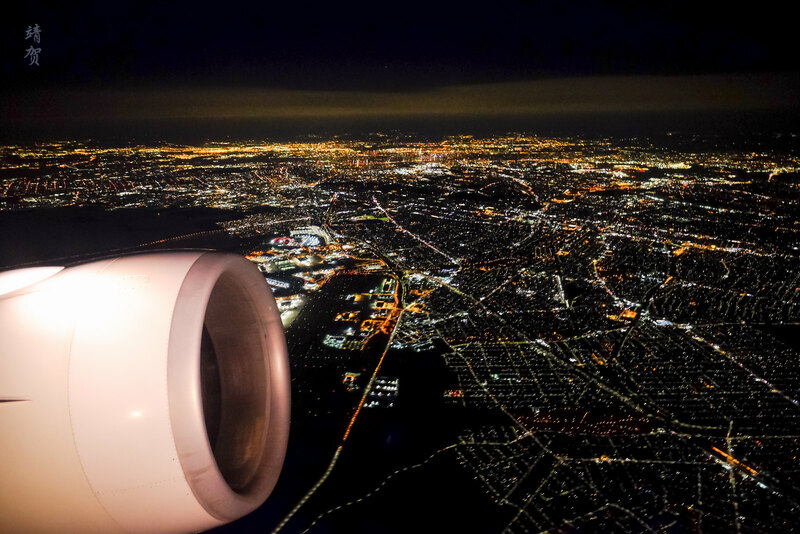 Since we were travelling as a couple, the window seats suited us nicely. As the third time in the same configuration of plane within a month, we were familiar with the seats and cabin. 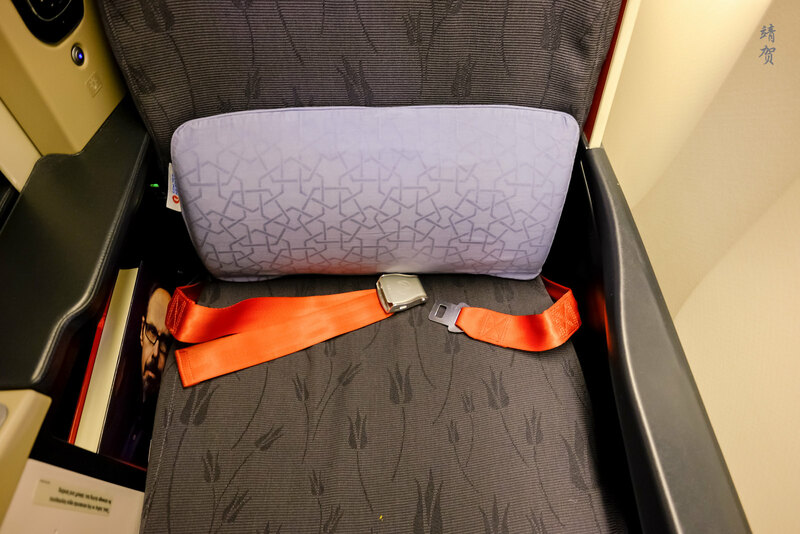 There was the same lumbar support pillow on the seat, and ample space on the side to place my hardcover novel that I just purchased to read during the long flight. 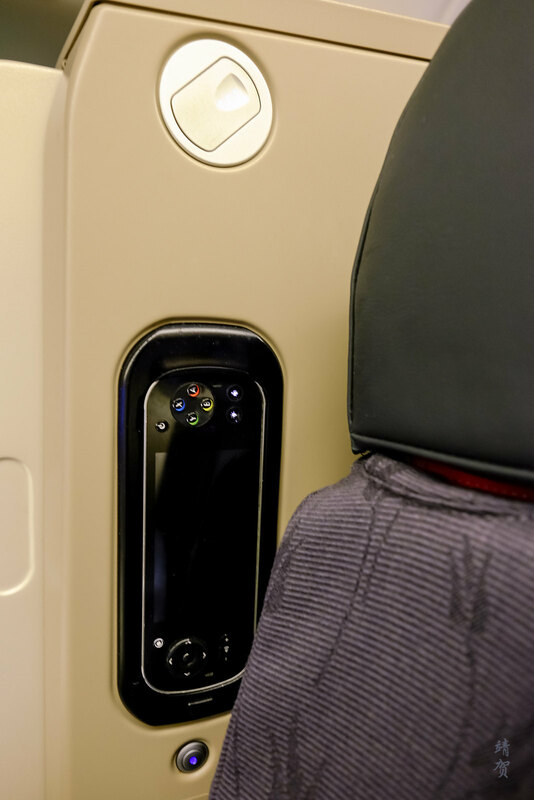 A nice touch screen entertainment remote was located underneath the reading lights on the right side of the seat. 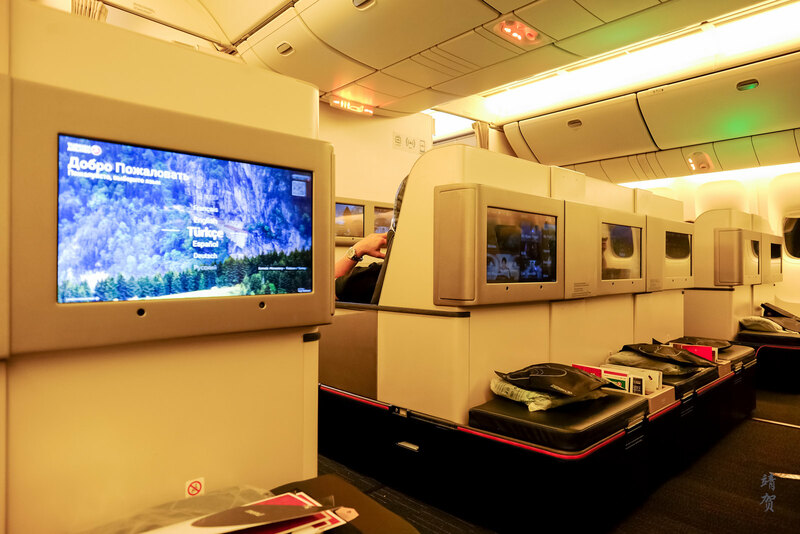 The high definition monitor located straight ahead from the seat was nice enough to enjoy the latest blockbusters so this was a good Business Class seat for couples. 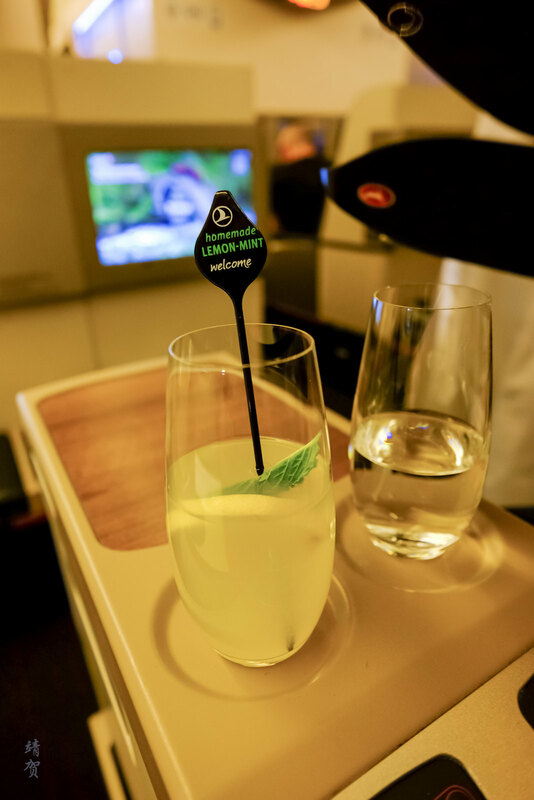 Pens were passed around by the onboard chef, while welcome drinks were offered by the stewardess as boarding was ongoing with passengers in Economy passing by the cabin. 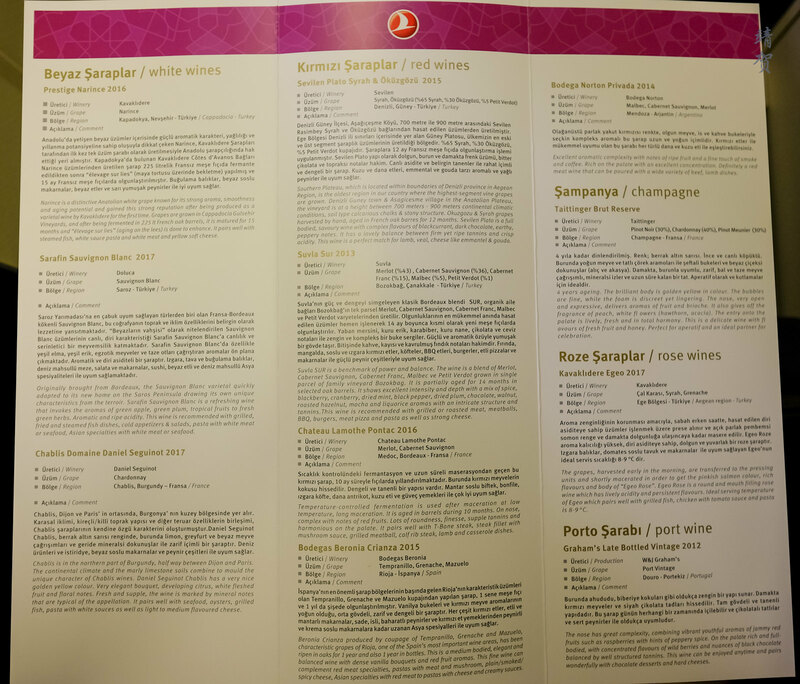 There was a separate wine list which seems to be same as my last flights with them. 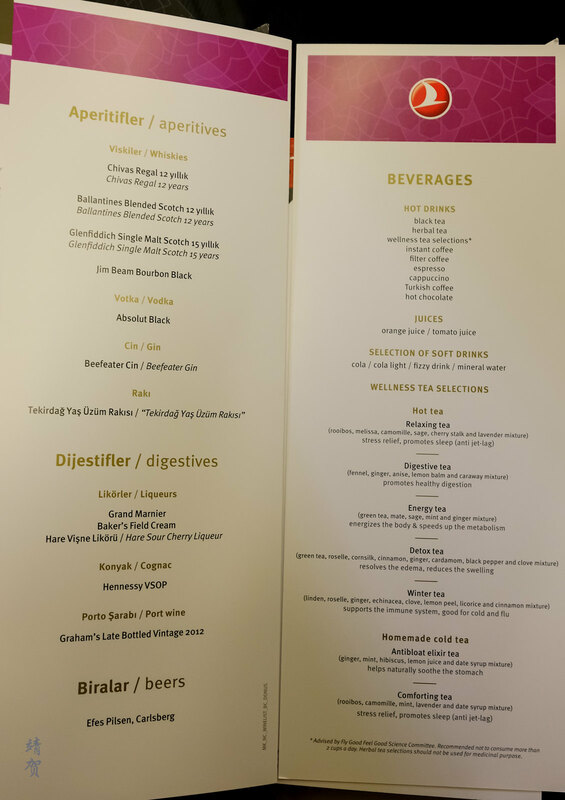 I have to commend Turkish Airlines’ catering though as there was an extensive drinks list including plenty of alcohol and non-alcoholic options to choose from. 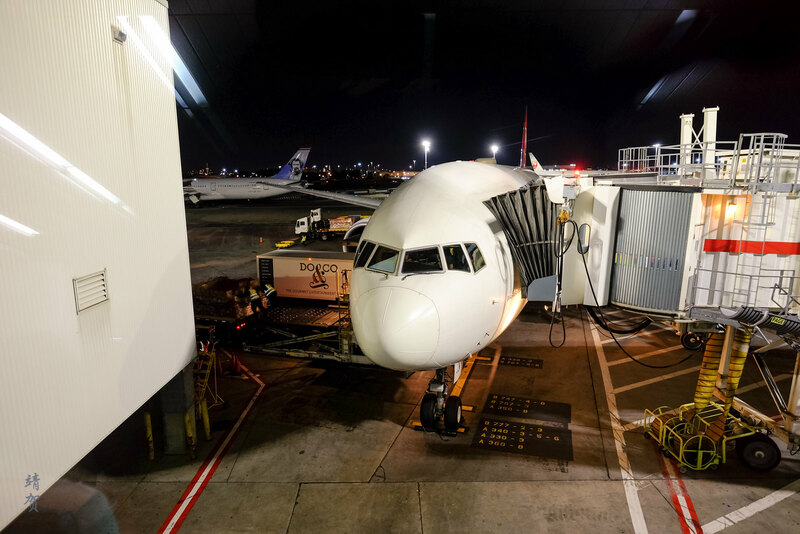 Pullback took place at 00:10 which indicated an efficient boarding process. In the end the Business Class cabin was not full and none of the middle seats in the second section was occupied. 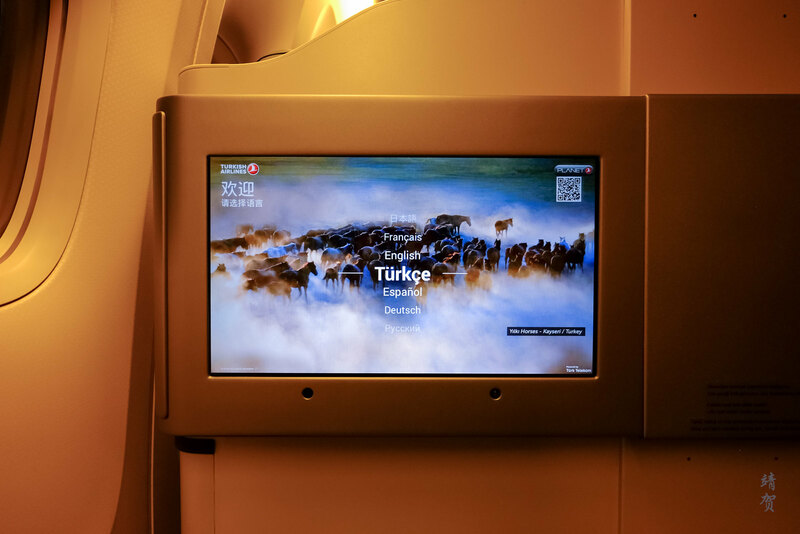 There was too much advertisements, safety videos and announcements to really watch the entertainment system during the long taxi anyway since the announcements was made in Turkish and English. It was only after take off that I started watching Transformers: The Last Knight. As usual, I usually give the time to watch flicks that I might not have spent time to watch in the theatres while onboard. 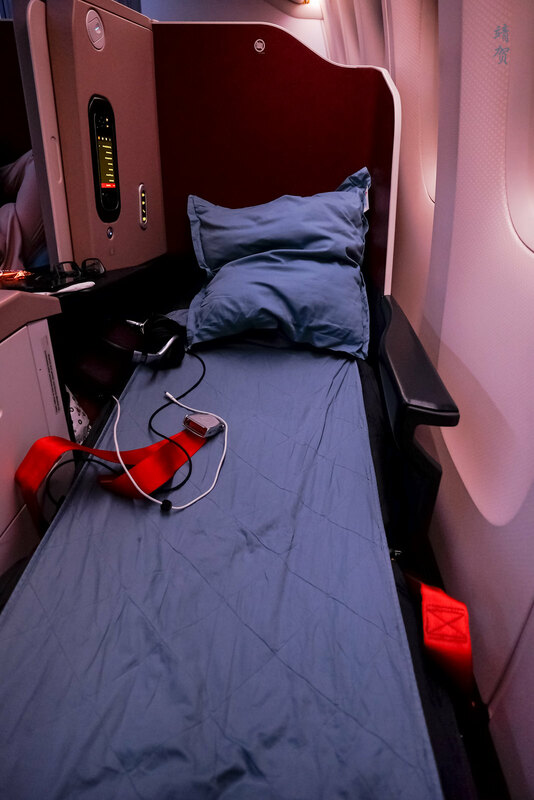 Cabin crew started offering turndown service by adding the duvet and pillow to the seat after take-off since the late night departure might have meant some passengers would just want to rest immediately. 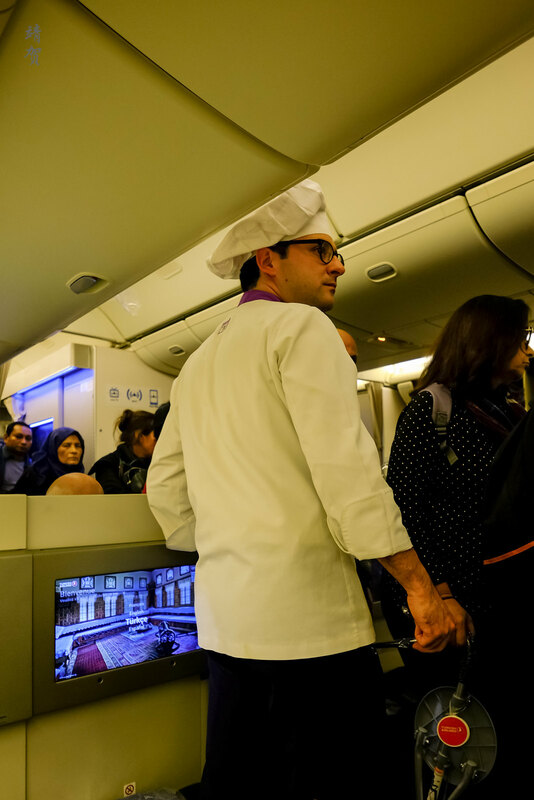 The onboard chef continued to take meal orders from other passengers. I would note the service from the crew at the beginning was great. 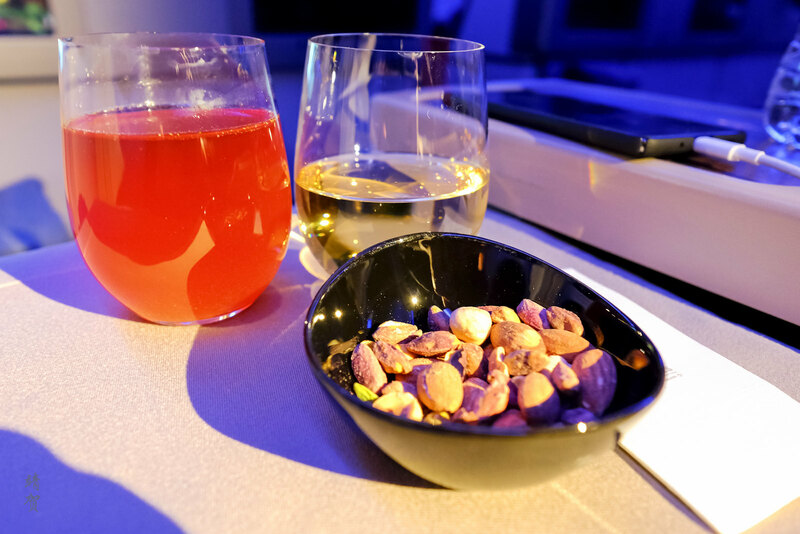 Hot towels were presented to Business Class passengers on a ceramic plate before the beverages and a bowl of mixed nuts was served as a snack. 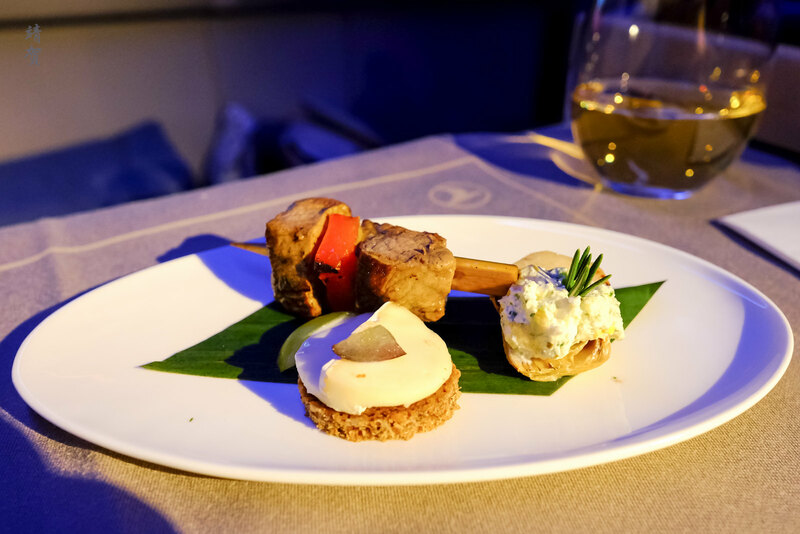 Meal service started around 01:50 New York time, starting with the amuse bouche. There was a small skewer of meat with paprika, cheese on top of toast and some mashed potato with rosemary. Not the best amuse bouche I had since I did not even bother to finish them. 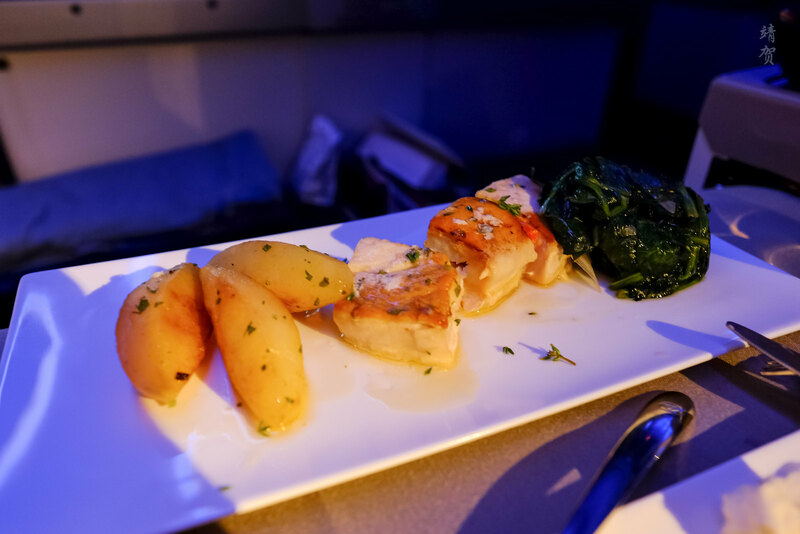 For the main course, I picked the swordfish that came with spinach and potatoes. The portion might appear small but it was adequate for the late night departure and the swordfish was cooked nicely without making it too dry. The flavour was just right too, making it another enjoyable meal. However the whole 3 course meal took a while to complete as I even fell asleep while waiting for the dessert course. I had asked for the chocolate souffle with the assorted Turkish desserts for dessert. 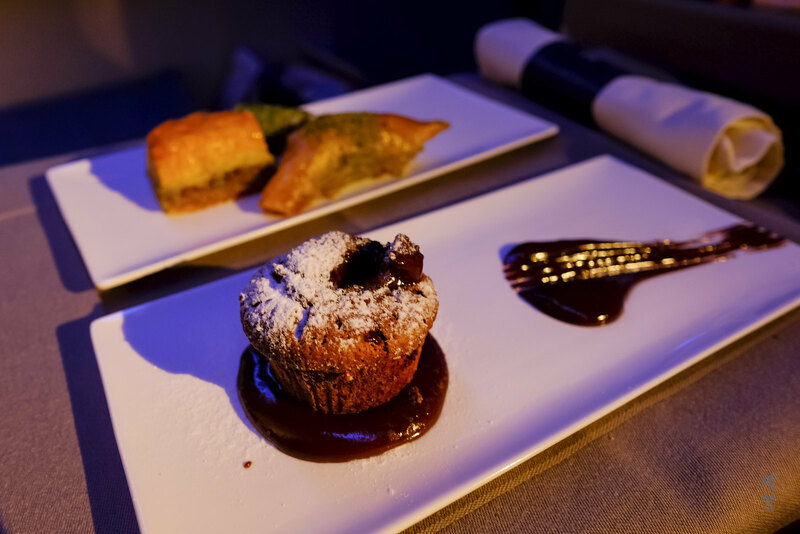 Both dishes were presented finely on the plate and I was surprised to find the baklavas was better than my last flight from Istanbul to New York. 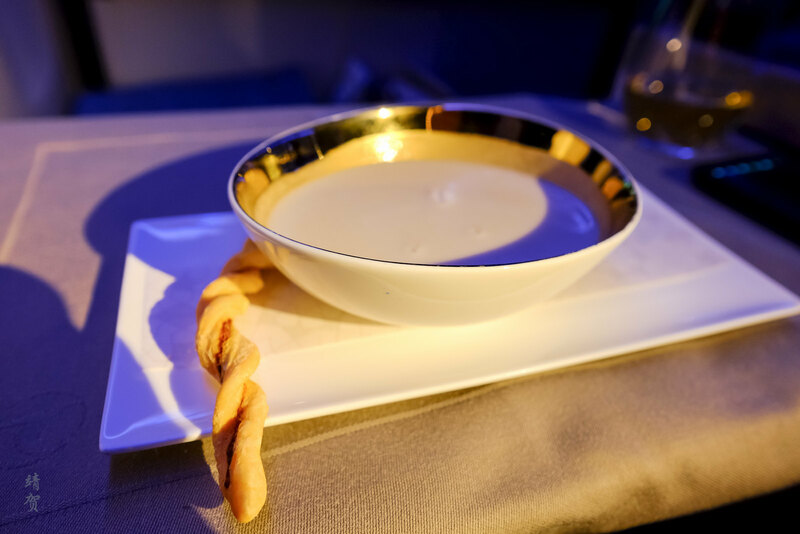 By the time the meal service was completed, our flight had left the North American continent and was over the Atlantic. 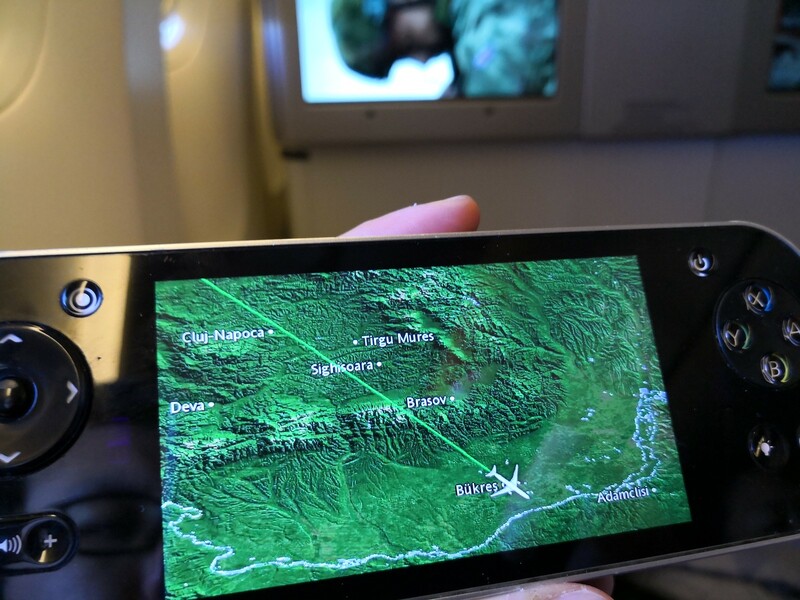 I just love the new generation remote with the mini screen display as that allowed me to check on the flight location without exiting the entertainment system. 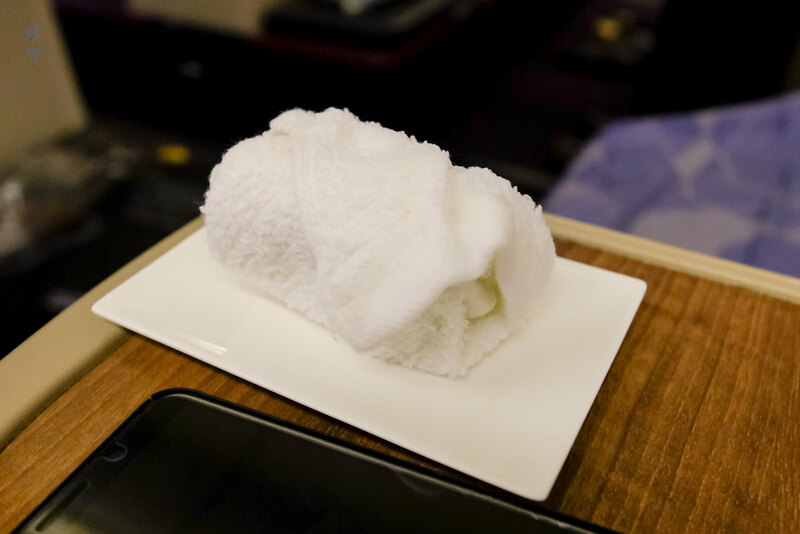 After a filling 3-course meal, I refreshed myself at the lavatory which is fitted differently on both sides of the cabin. Lavatories onboard Turkish Airlines are pleasant since they added fragrance sticks with Molton Brown amenities found inside. 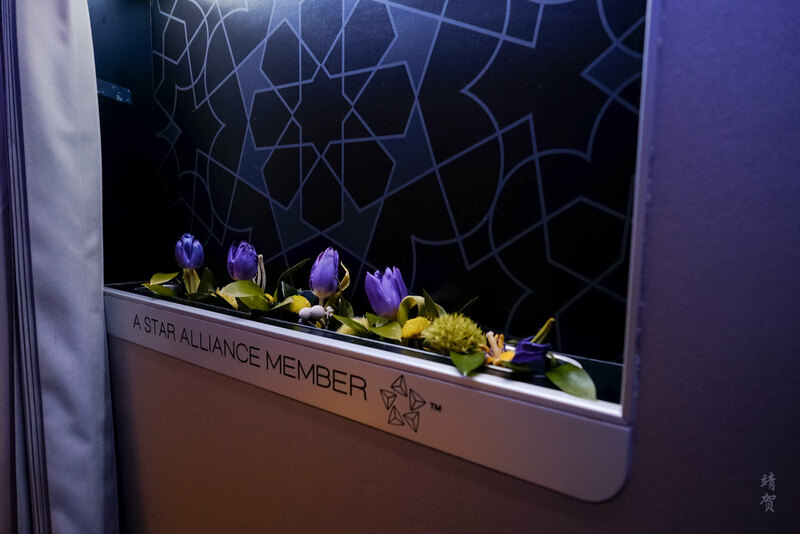 The cabin is also nicely decorated with faux flowers and patterned accents, giving it a touch of class. 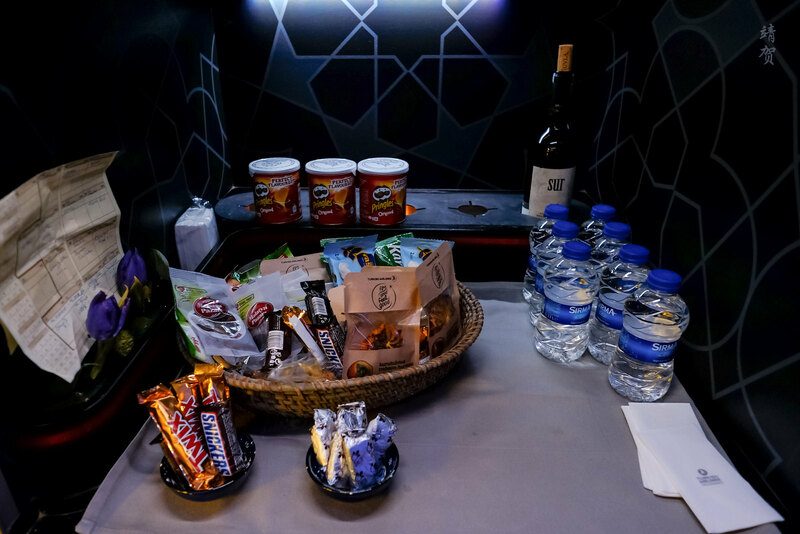 On this flight, the crew arranged snacks in the area by the galley along with bottled water and wines that passengers can self-serve. This was a nice touch but I have to note that there was this obnoxious passenger who actually cleaned out one particular snack right after I took the picture. 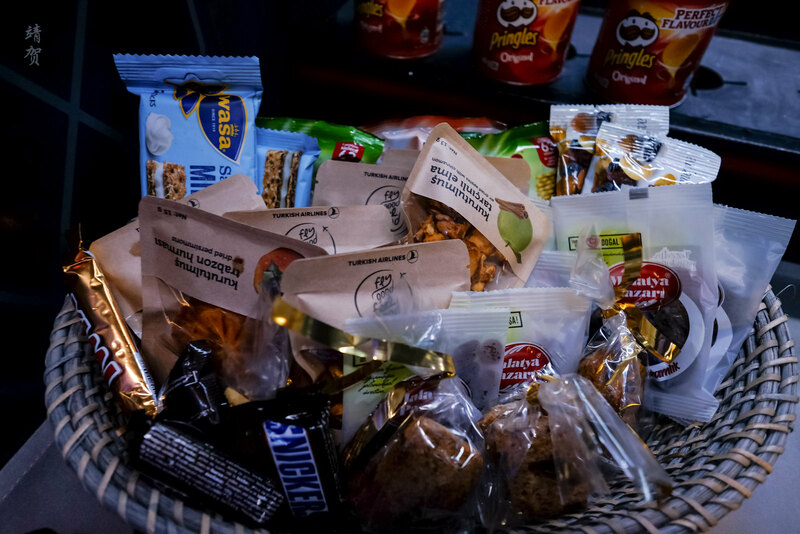 She was basically rummaging through all the snack basket on both sides of the galley to pick her favourite snack. 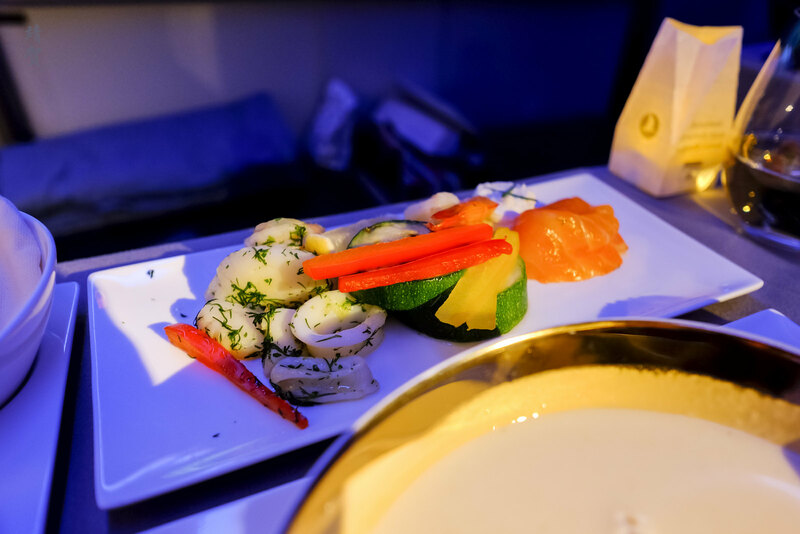 In light of these inconsiderate passengers, I do recommend heading to the galley right after meal service to get a pick of your favourite snack as soon as possible and do hope that you leave some for other passengers. When I returned to my seat, I managed to nap about 4 hours or thereabouts. The full lie-flat seat with plenty of open legroom meant it was easy to find a comfortable sleeping position. One tip here is to ensure that the lumbar support is taken out of the seat before the duvet cover is placed over the seat. 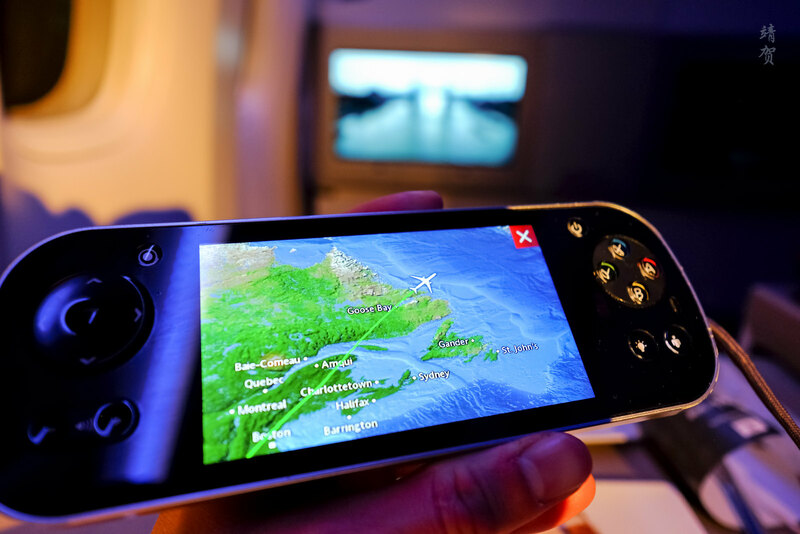 I know the flight attendants will not actively do this for passengers. I was actually awoken by the clanking of the cutleries in the cabin as breakfast service started before our arrival. 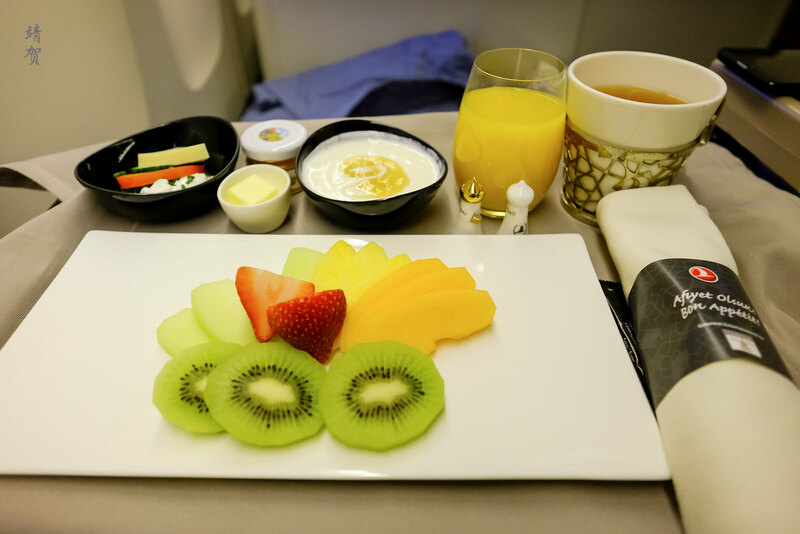 Had to wait a while to change out of my pyjamas before returning to my seat where the crew had started serving the fruit plate and offered pastries. The standard fruit platter was served with yoghurt. For drinks I had the freshly squeezed orange juice with a cup of hot herbal tea. 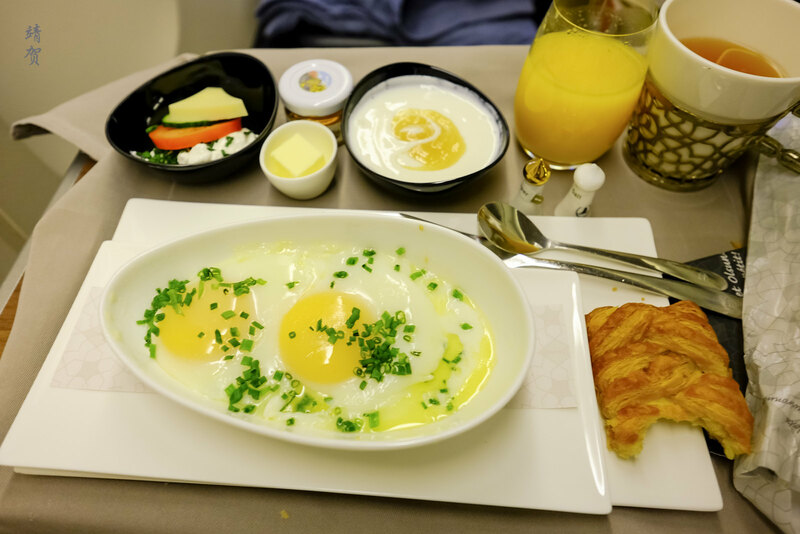 Stewardess had to ask me again for my main choice of crepe or eggs despite the breakfast menu being filled out. Thankfully the fried eggs was presented nicely and cooked perfectly. After the breakfast service, there was not much to do but relax by watching some TV show. Even then, I find it cumbersome that Turkish Airlines have to collect the headphones about 40 minutes before landing with loose headphones given out. They seem to be the only airline to do this. 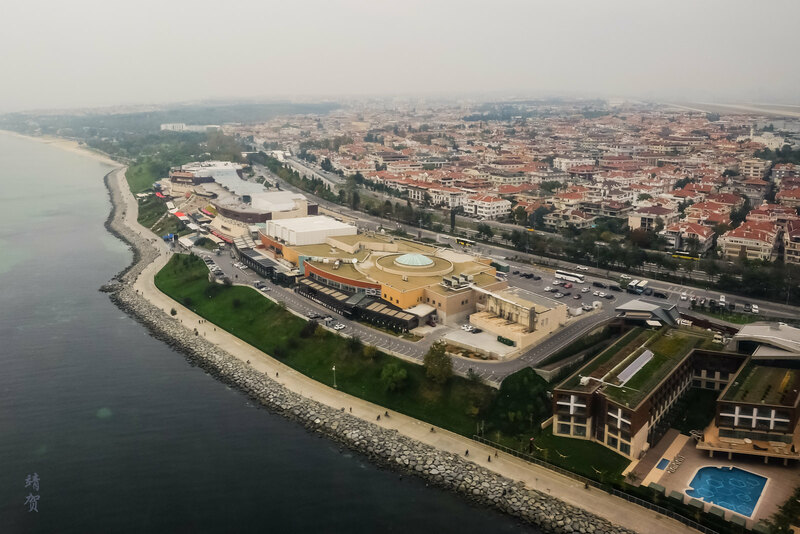 Eventually the captain announced our descent and I was able to spot the coast of Istanbul as we flew past the Aquarium and mall by the waterfront. While our flight departed slightly late, we landed early at Turkey under cloudy weather. 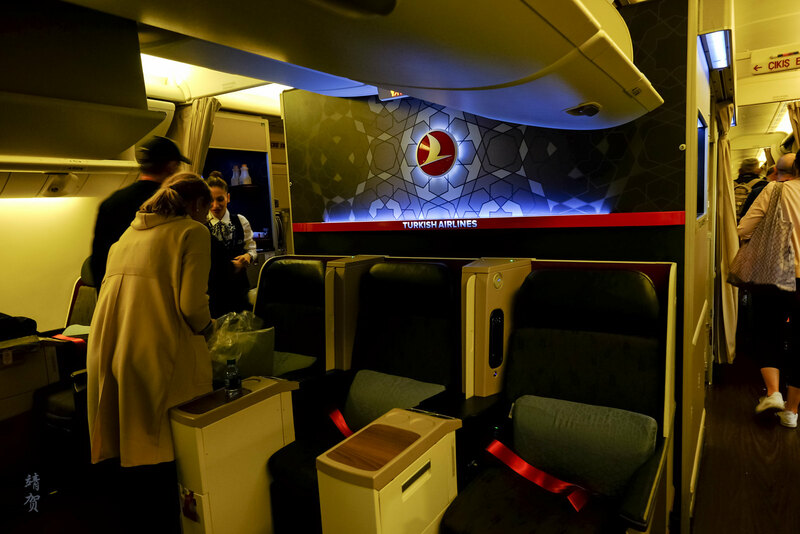 While there was some blemish in the service, I felt this was one of the nicest flights amongst the 4 flights I had with Turkish Airlines. 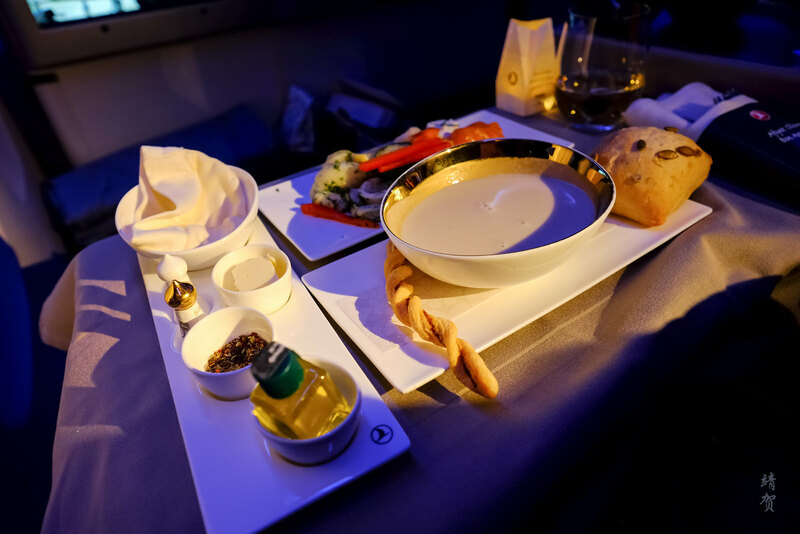 The quality of the meals was the best and there was good service from the crew at the start of the flight. 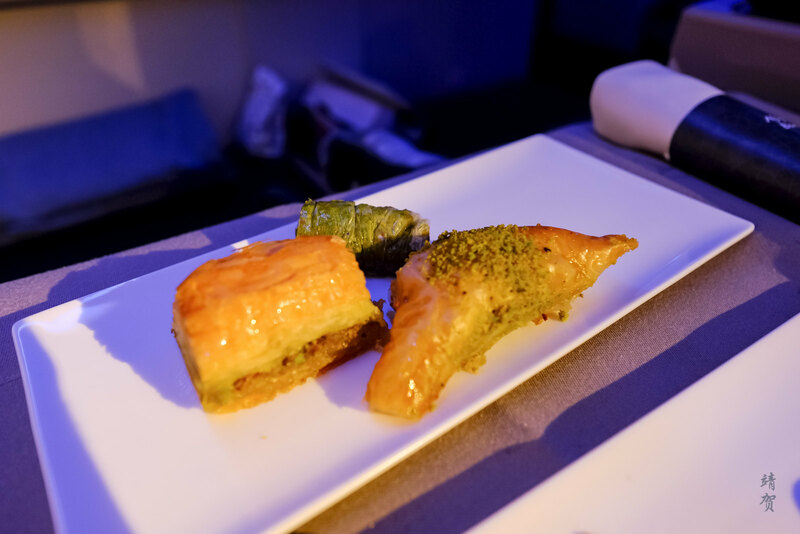 Meanwhile I do have to point out that service onboard was fairly mediocre onboard all the Turkish Airlines flight with some of the crew just not understanding the full food and beverage offering by the airline. 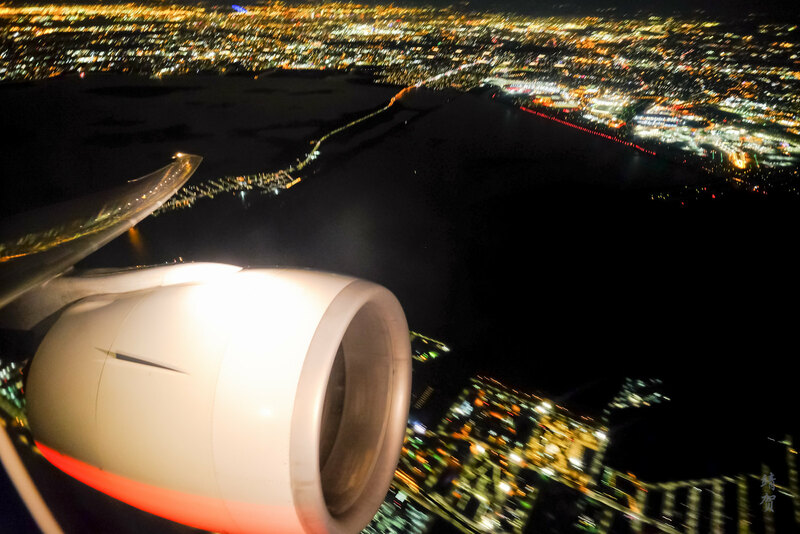 To summarize, I have to say I was still satisfied when comparing the price to the the performance of the whole flight since they do exceed the needs for Business Class such as a full lie-flat seat with plenty of storage space and a great inflight meal.